To be a regional market leader in our business activities with world class standards. We continually strive for excellence in all we do. This starts at a strategic level & filters down to every level of the company & every dimension of the business. Our strategic objectives are at the forefront of our sustained success, which has impacted on our leadership team. The team is composed of results oriented individuals who embrace the changing landscape of the business environment we operate in. We believe that our success is underpinned by an effective team of leaders working together to achieve our strategic intentions & working individually to achieve excellence in their specialist fields. 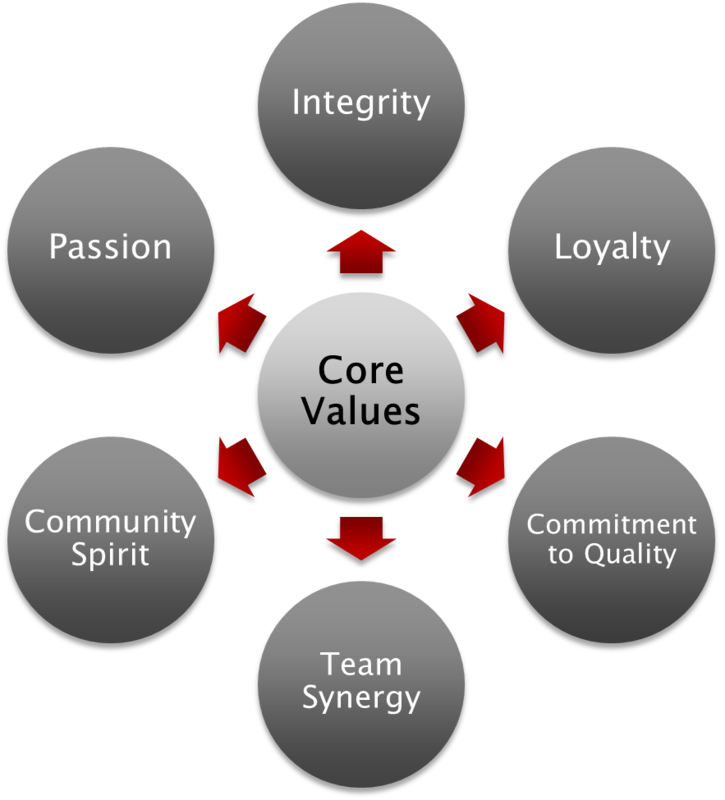 We instil a sense of purpose in our leaders, which is communicated in our vision & values. We act with honesty and work according to an ethical code of conduct that touches every aspect of our business as well as our consciences. We strive towards long term commitments with all our stakeholders that creates loyal and trustworthy relationships. We have an obsession for quality delivery that exceeds our clients’ expectations. Our success is contingent on the ethos “no one’s perfect, but a team can be”. Our corporate responsibility defines our existence as we celebrate and share our success with the community..
We put our hearts and minds in all our business transactions and our decisions are underpinned with sincerity.